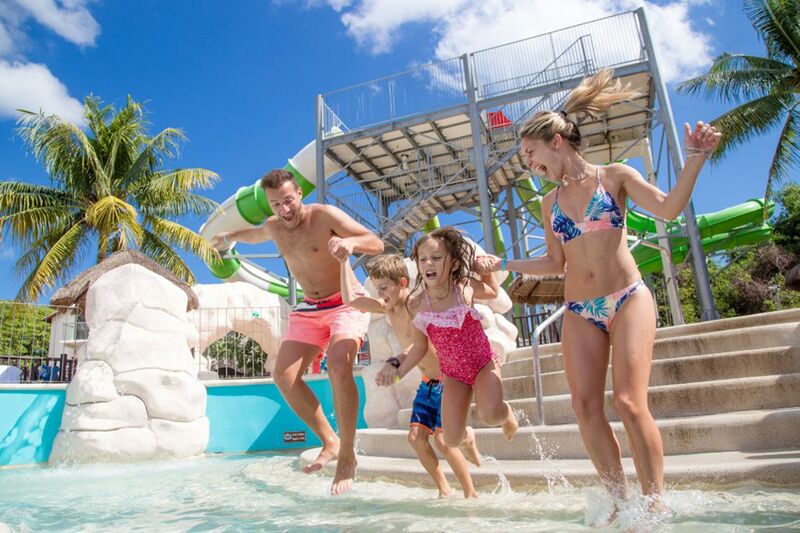 Let’s face it — parents love all inclusive resorts and kids love water parks, so combine the two and everyone is happy. Mexico offers several all inclusive resorts with water parks. Plus, direct flights from most major U.S. hubs means it’s an easy destination to reach! 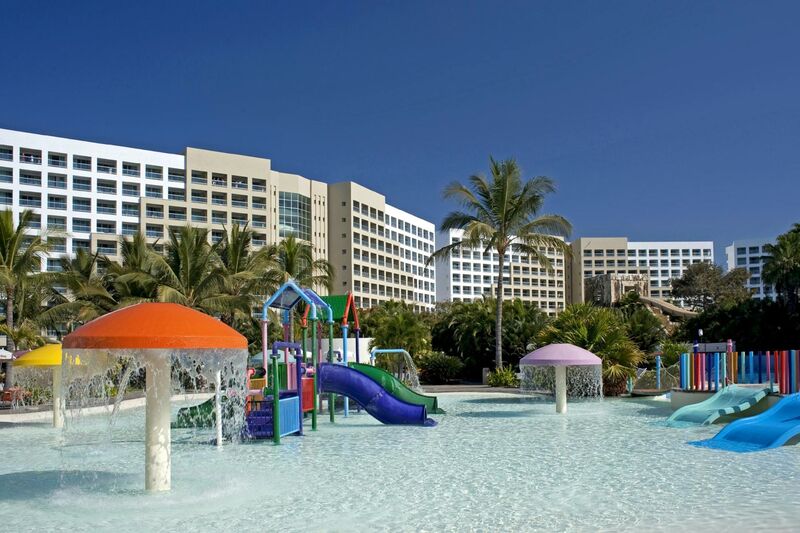 So, pack your swim gear and head to one of these all inclusive Mexico resorts with water parks. 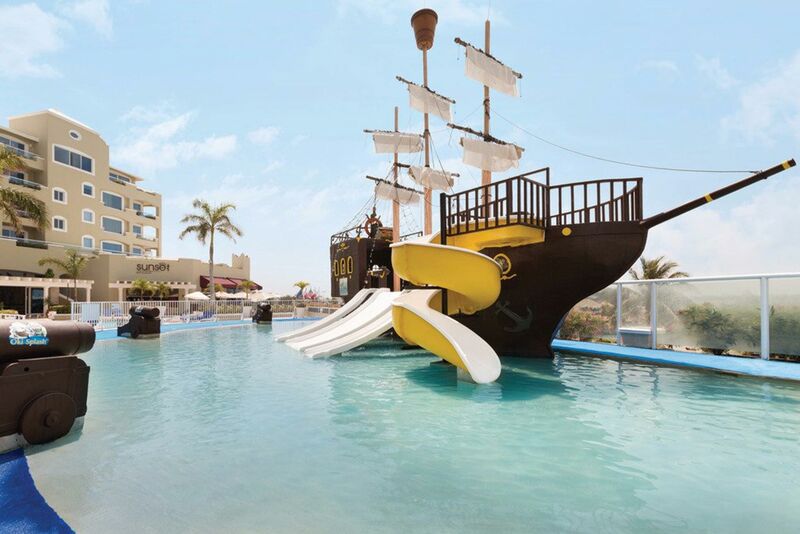 Camp Jack, a big hit with the junior set, has a pirate-themed splash park with seven waterslides, two splash zones and a family pool. Panama Jack Resorts Cancun also has an array of water sports, 13 restaurants, a fully equipped gym and an amazing beach. Free Wi-Fi is there if you want to connect… or just take in all the fun and do a digital detox. The Seadust Cancun Family Resort took over the Great Parnassus Family Resort and reopened in 2017. 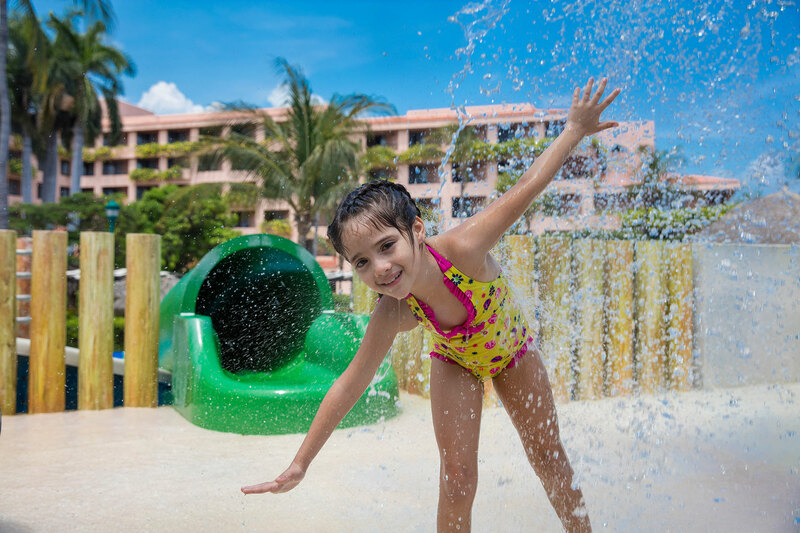 This all inclusive resort offers a great water park for kids, complete with multiple pools, a splash area, slides and more. Plus, there’s a great beach area, ziplining, rock climbing and a spa with a menu created specifically for kids. 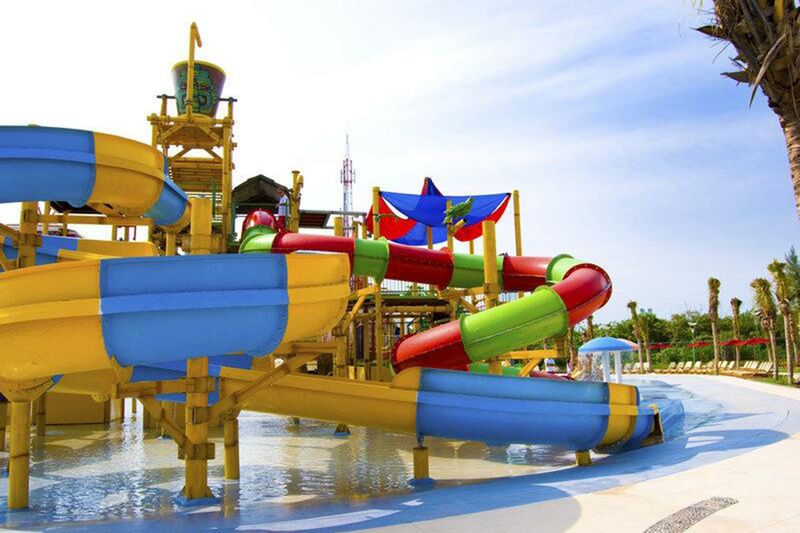 Located near the Cancun airport, All Ritmo Cancun Resort & Waterpark has a great water park (admission is free to resort guests and there’s a charge for outside guests). It’s open from 10 a.m. to 5 p.m. each day (closed on Tuesdays for maintenance) and in addition to all the water fun (splash zones, slides, dumping water buckets), there are lockers, a bar and restaurant, lounge chairs, Ping-Pong tables, mini-golf, a playground, basketball court, tennis courts and more. This all inclusive Mexico water park includes slides, palm-tree waterfalls, dumping buckets and a wading pool. The Grand Bahia Principe Coba has over 1,000 rooms, two large pools (one of which contains the water park), 10 restaurants, nine bars, a spa and a golf course. Plus, there’s paddle surf, kayaks, tennis, catamarans for hire, snorkeling, boogie boards and a gym. 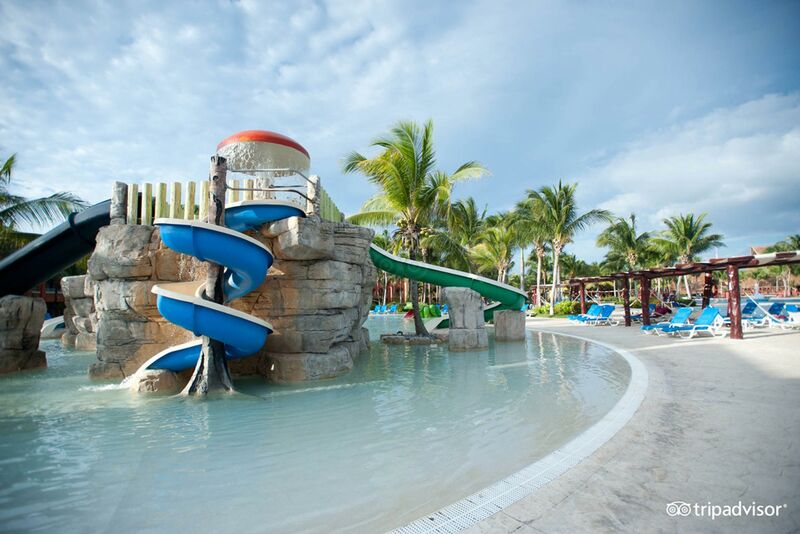 The Sandos Caracol Eco Resort‘s aqua park has plenty of different waterslides (including classics like the Kamikaze!) designed for all age groups, from toddlers to grown-ups. In fact, it’s the grown-up slides that really make this Mexico resort water park stand out. 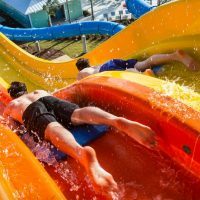 Most water parks are for little kids, but here, adults can race down the slides and join the fun. Located in the Riviera Maya, this eco resort offers wonderful sustainable excursions (including nature and cultural trips), as well as fun water sports and a gorgeous beach. 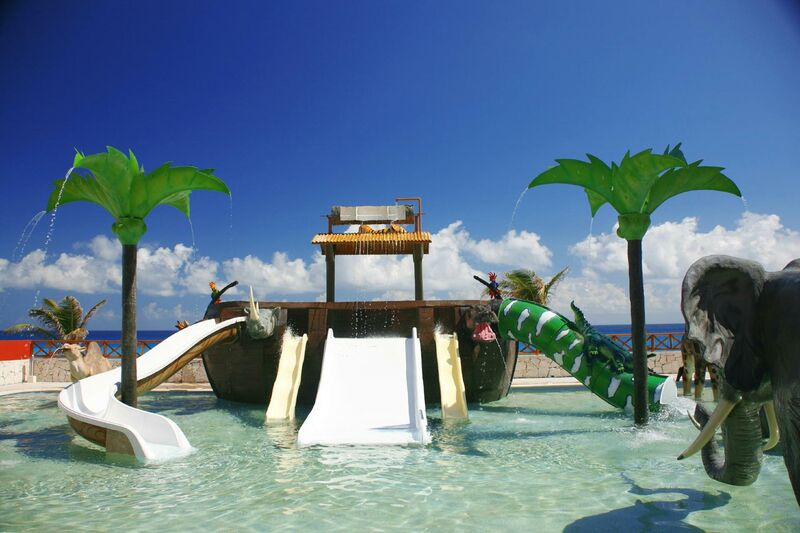 This all inclusive Mexico resort has five pools and a fabulous pirate-themed water park for kids of all ages. It includes slides, tipping buckets and wading areas for smaller kids. Also, the Allegro Cozumel offers a kids’ club, diving, an expansive beach, a hot tub area for adults and five restaurants. 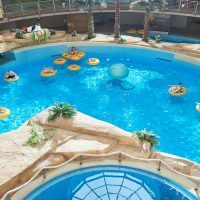 One of the highlights of this Mexico water park resort is the lazy river, where you can spend hours enjoying the water and sun. Then there’s the aqua park boasting a wave pool and the Mayan Pyramid slide. Plus, there are plenty of pools, Jacuzzi rings, fountains, and waterfalls to be found at The Grand Mayan Nuevo Vallarta Resort. 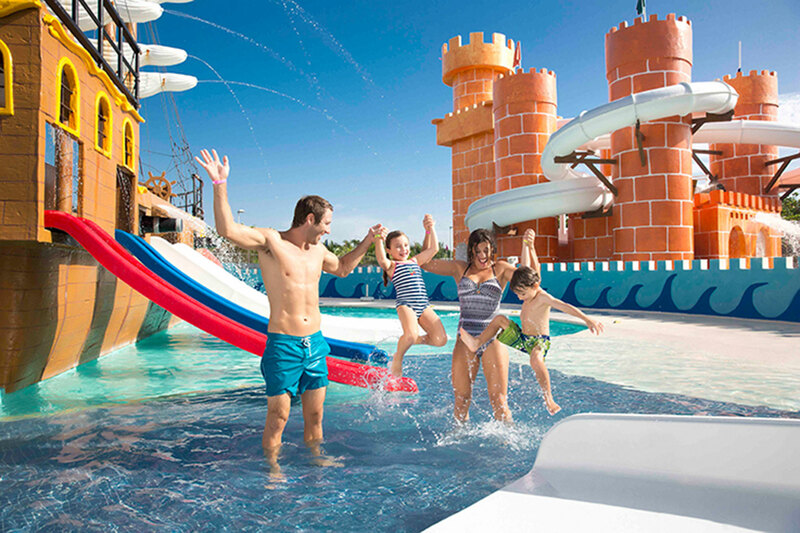 The Pirates Island water park has rides and slides and the Barcy water park has castles, slides, waterfalls and a swimming pool. 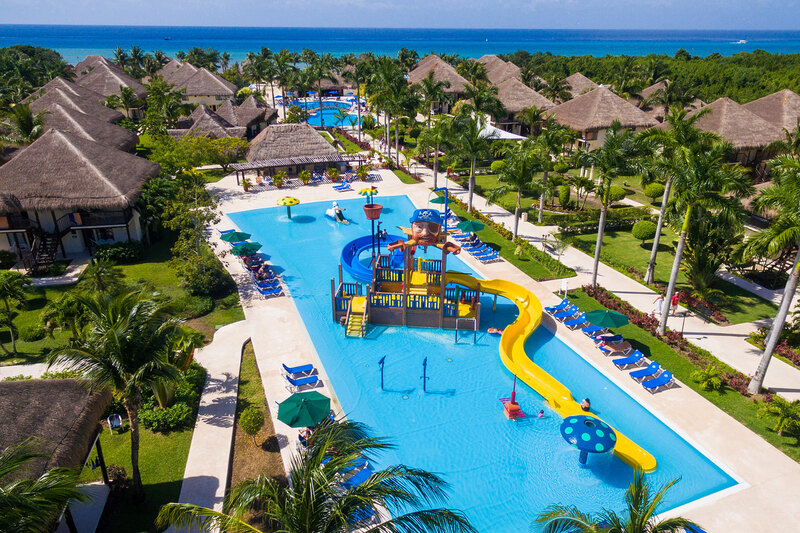 In total, there are six pools at the Barcelo Maya Colonial & Tropical, plus a special shallow area pool for little kids and a semi-Olympic size pool for adults. There’s also a game area, beach shop, surf rider, 18-hole miniature golf and a four-lane bowling alley. This all inclusive Mexico water park resort, located in the Cancun Hotel Zone, has 300 rooms and a private marina with plenty of water sports. 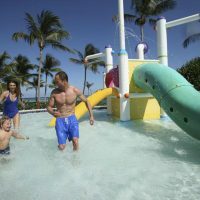 The oceanfront pool complex is divided into three sections, including a children’s water park and supervised mini club. Nightly theme shows, live music in the lobby, daily aqua aerobics at the pool and other activities-like beach volleyball and water polo-are offered at the Royal Solaris Cancun. Planning a visit to Oaxaca and Huatulco? You’ll want to stay at the all-inclusive Barcelo Huatulco, which offers a mini water park. 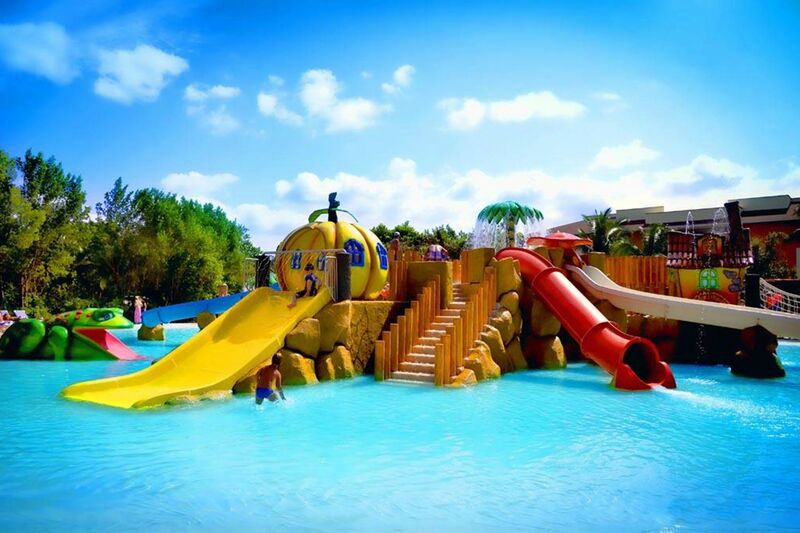 The Barcy Water Park is perfect for little ones, with small waterslides and shallow waters. When the kids need a break from the pools, play a round of mini-golf or head to one of the kids’ areas. 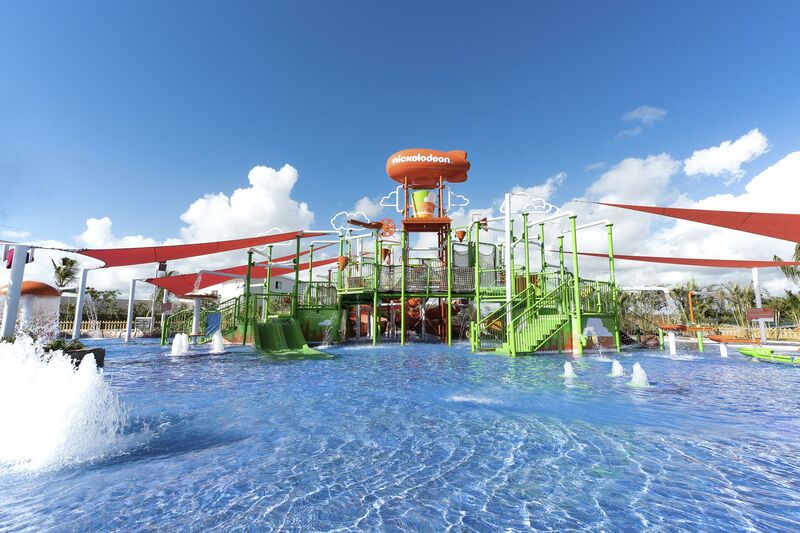 Coming soon is the Nickelodeon Hotels & Resort Riviera Maya, which will offer Aqua Nick, a 500,000-square-foot water park with activities including a lazy river, waterslides, a splash park, an interactive water playground for toddlers, and mini relaxation pools. Onsite lockers, bathrooms, showers and towel service will also be included to ensure every comfort is met.